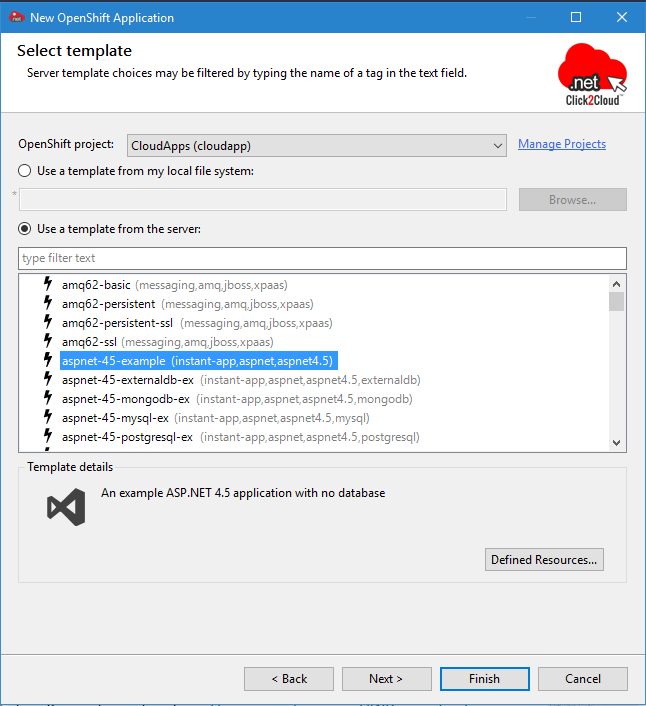 Linux Cloud Tool for Visual Studio; allows Linux Cloud users to Build, Manage and Deploy containerized .NET and lot more other applications straight from Visual Studio 2015 IDE to Linux Cloud such as RedHat’s OpenShift 3 cloud platform. 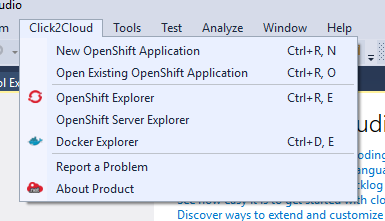 This is pre-release version of Linux Cloud Tool for Visual Studio 2015. For more details, you can mail us at contact@click2cloud.net or contact at +1 (425) 749-7495 and +1 (425) 748-9666. You can also visit our website www.click2cloud.net to get insight of tools and FAQs . 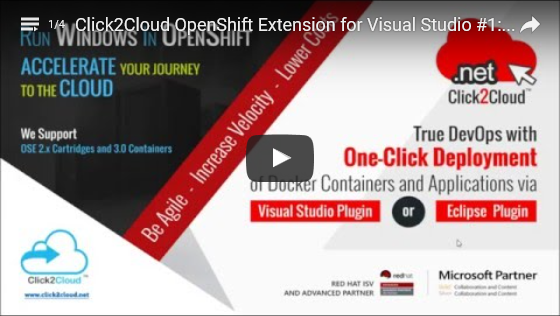 Watch our YouTube Playlist to see how easy it is to develop and deploy application on OpenShift 3 using Click2Cloud’sRedHat OpenShift Tool for Visual Studio for Visual Studio 2015. 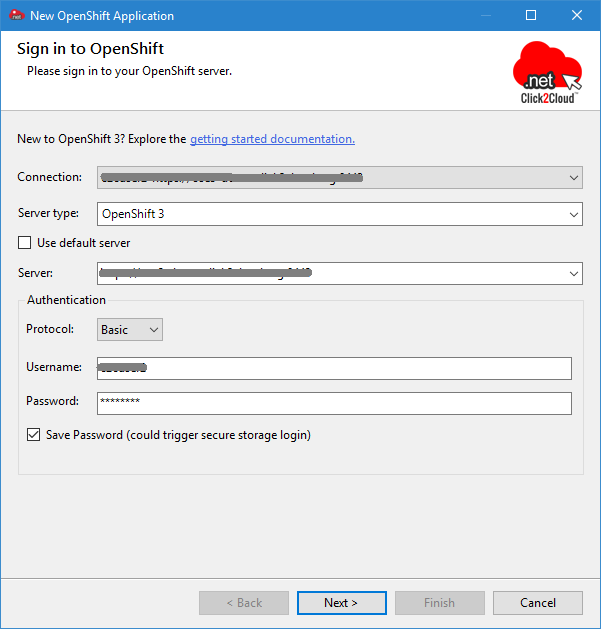 Following are the software pre-requisite to install theClick2Cloud OpenShift 3 Tool for Visual Studio 2015 tool and manage your application on OpenShift 3. 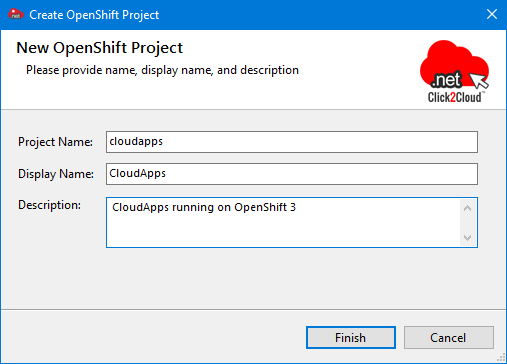 Along with Click2Cloud OpenShift 3 Video Gallery , you can refer the getting started documentation accessible from New OpenShift Application screen. The Getting started document is also available on Click2Cloud website, and can be directly accessed fromhere . 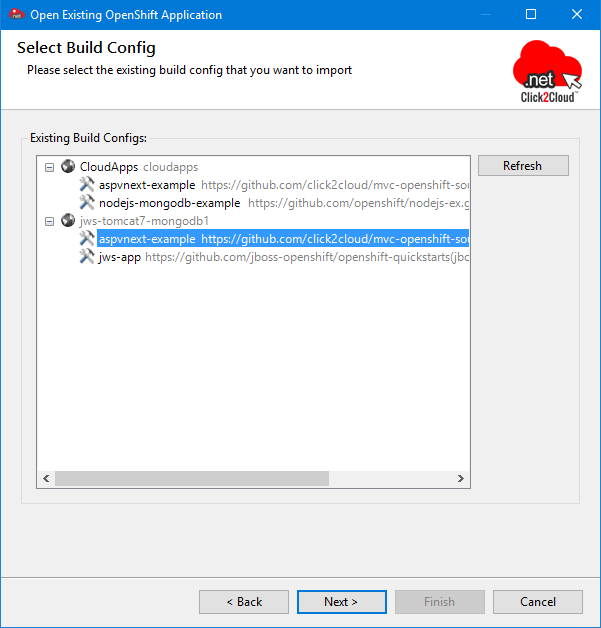 Follow instructions at https://github.com/Click2Cloud/DotNetOnOpenShift3 to enable .NET on OpenShift 3 Environment. 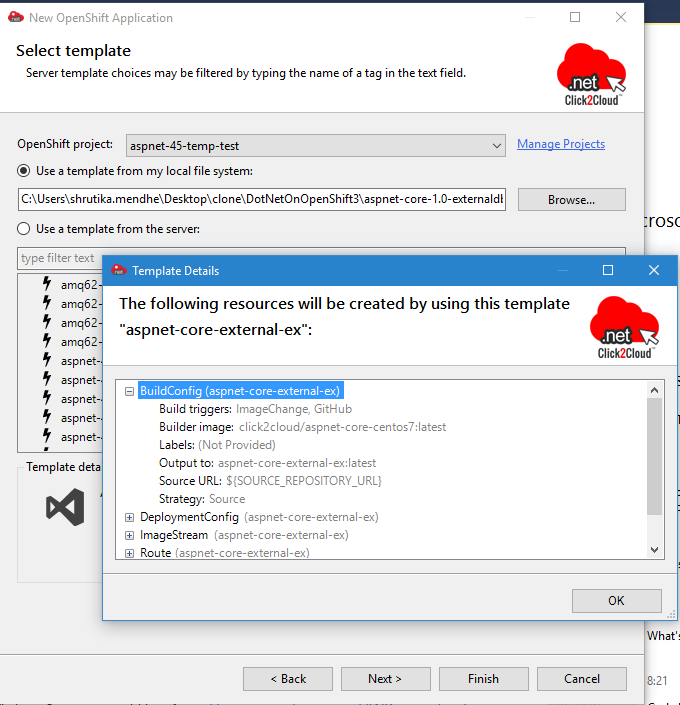 Once installed, system will display a success message and you can access the Click2Cloud Extension from menus of Visual Studio Console. View list of Know Issues for current version at Product Repository .